TORONTO - The head of furniture giant Groupe Lacasse, Sylvain Garneau, and Superior Cabinets CEO Scott Hodson headline a three-day wood industry conference at WMS 2017, Canada's national woodworking show. WMS - Woodworking Machinery & Supply Expo - takes place at the International Centre exhibition hall in Mississauga, Ontario, minutes away from Toronto's International Airport. 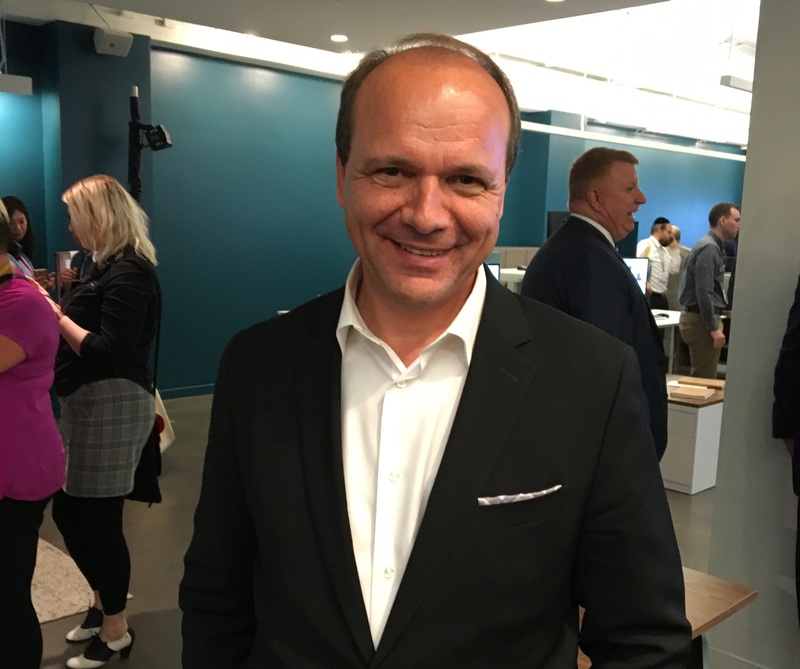 Sylvain Garneau, CEO, Groupe Lacasse, at NeoCon in Chicago. Garneau, who is in his second year as chairman of BIFMA, the Grand Rapids, Michigan-based business furniture association (the first Canadian to hold that post) joined the Montreal-area furniture manufacturer in 2010, when it was Haworth's Canada operation. (Haworth had acquired it in 2000 from the Lacasse family.) In 2012 Garneau partnered with the founders to spin it off from Haworth, relaunching Groupe Lacasse. Before that he was CEO of Nortrak, a Vancouver railway manufacturer. Garneau will address business and management issues he encounters, including workforce development and capital investment anlaysis, in operating one of Canada's largest furniture manufacturers and exporters. 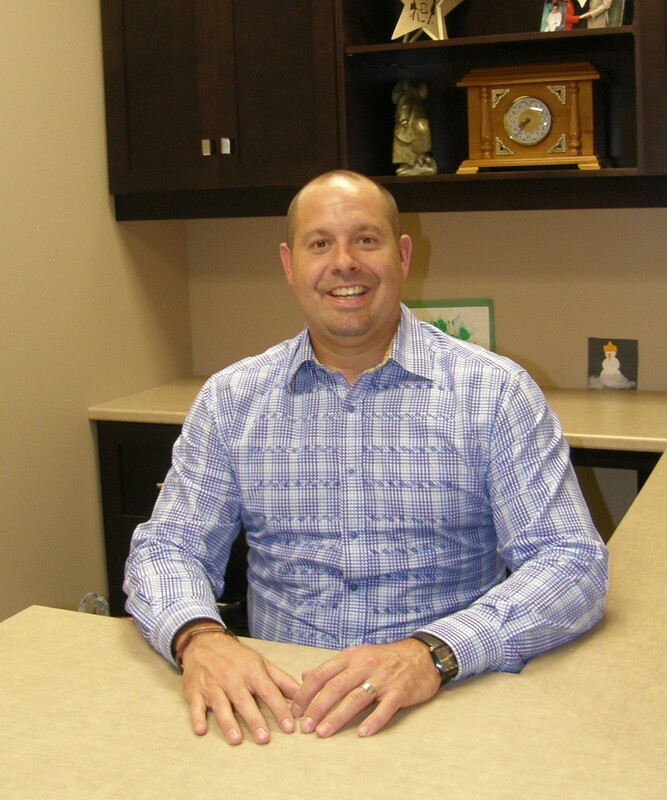 Scott Hodson has managed Superior Cabinets since 2008. Under his watch, it was named Manufacturer of the Year by the Canadian Manufacturing & Exporters trade group. 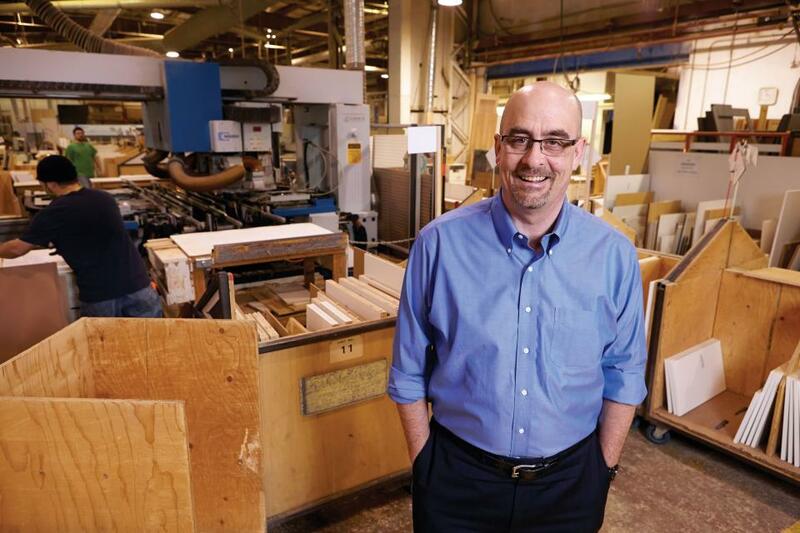 One of Western Canada's largest cabinet manufacturers, Superior Cabinets has undergone a dramatic turnaround over the past decade in its manufacturing process, and employee engagement. 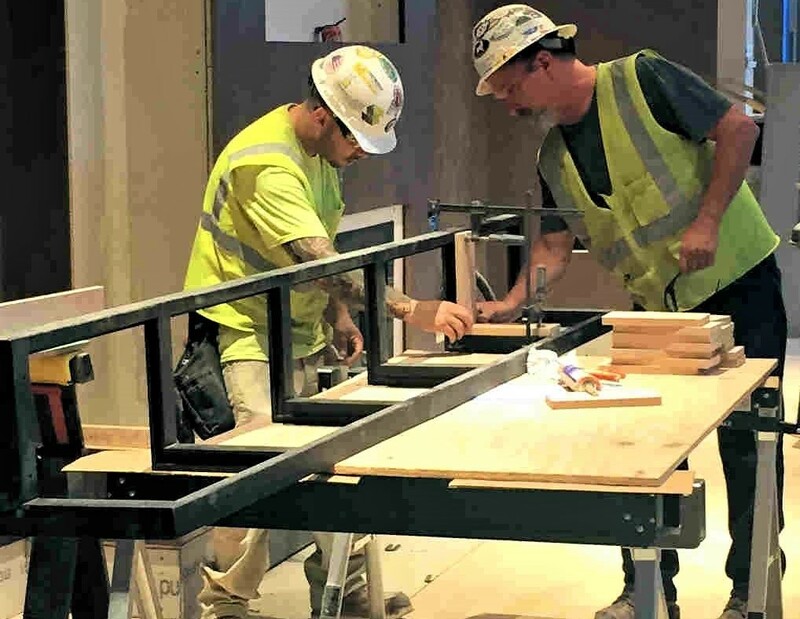 Superior has deployed programs such as Lean and 5S, partnered with its dedicated staff in all departments, and developed a culture of constant innovation. One measure of its transformation: in 2008, it required 400 people to build 25 kitchens per day, and 16 weeks to get it installed into a house. "Today it takes 250 people, and is installed in 6 weeks guaranteed,” Hodson says. Superior also developed an innovated MDF staining technology, Fusion Finishes, which it showed at KBIS 2017 in Orlando. Fusion Finishes won a 2017 Best of KBIS Award, then went on to win the KBIS People's Choice Award. It was also named one of Alberta's top cabinet companies by Consumers Choice. The two executives will make their luncheon address as part of a three-day conference program that begins November 1 with a pre-show sanding and surface preparation conference hosted by Taurus-Craco, followed by two full-day conference programs, with two tracks each day. 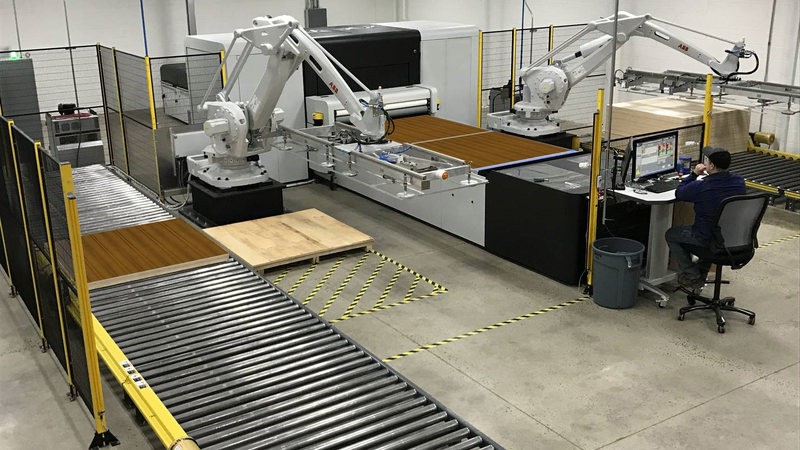 November 2, opening day for WMS 2017, will also see a plant tour at the highly automated ProPly Custom Plywood, Inc. in nearby Brampton, and a networking reception at the end of the first day of the show. Three more woodworking business managers will also share their expertise during the WMS 2017 Conference sessions, with presentations on business strategy, social media marketing, and lean management. Denis Staples, president of Ottawa's Deslaurier Cabinets, will deliver a lively presentation, "Your Face, My Face, Snap Face: The World of Social Media," on November 2. "We will discuss the social media initiatives that we use, which ones work the best, what social media has done for us, how to measure the effects of social media, the dangers of social media, and whether to do social media in-house," said Staples. According to Staples, the specifics of the presentation will include: choosing the right platforms, retaining followers and keeping them engaged, and using analytics to your advantage. "We'll explore how social media can hold you accountable, gives followers a public forum, and enables you to take the good with the bad." 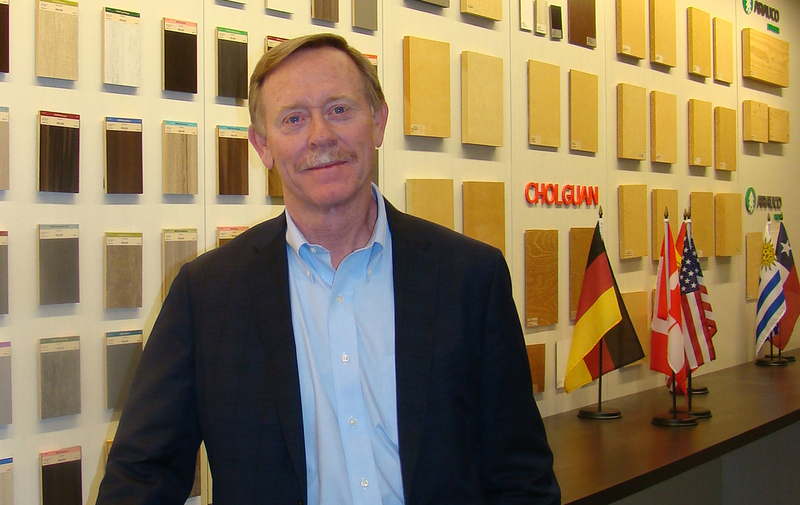 Braid Cairns, president, Signature Wood Systems. Brad Cairns, principal of the Center for Lean Learning and owner of Signature Wood Systems, both in St. Thomas, Ontario, will bring his infectious energy to a session that underscores the value of lean management. 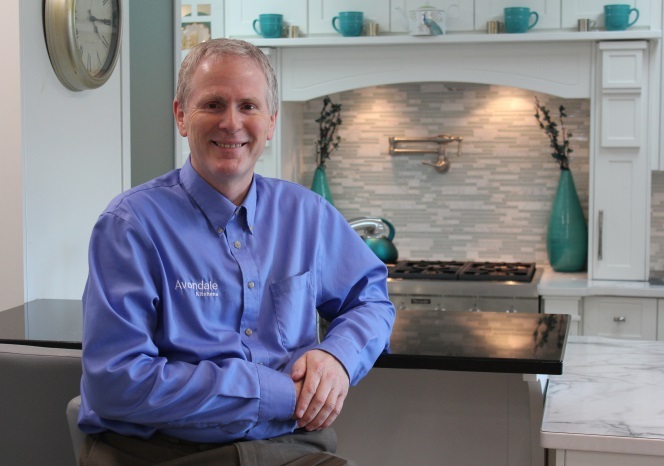 And Jim Lawrence, CEO of Avondale Kitchens, a voluble and insightful presenter, will walk listeners through practical advice that can make any shop more productive. Registration is now open for the Woodworking Machinery & Supply Expo. Canada's national wood manufacturing expo and conference runs November 2-4 at the International Centre in Mississauga, Ontario, in suburban Toronto. A pre-show finishing event on November 1 is planned for the showroom of technology supplier Taurus Craco. That event runs Noon until 5:00 pm. This year WMS planners are also offering registration for individual conference sessions, keynote luncheons, and plant tour. sessions. An all-day Conference Pass (for one or both days) includes luncheon keynotes. The November 2 Pass also includes the plant tour of Pro-Ply. The biannual event is Canada's largest exhibition of woodworking technology and supplies. The 2017 edition is expected to draw thousands of wood industry business owners, execs and operators, to view more than 250 companies.